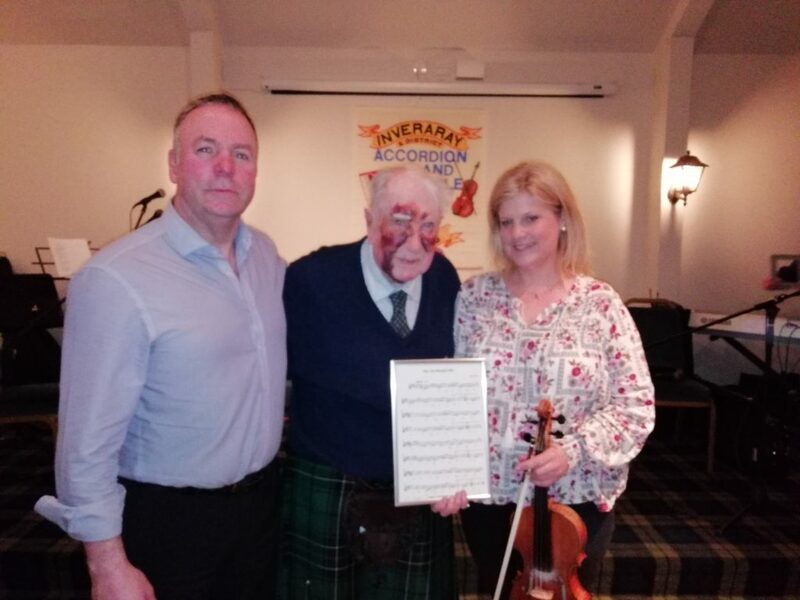 It was party time at the Inveraray and District Accordion and Fiddle Club in March as chairman, Niall Iain MacLean, celebrated his 90th birthday the week before. Unfortunately, he had a nasty fall on the morning of his birthday, but nothing was going to deter him from attending the club. Supporting players were Fyne Folk, with Sally Hall, Alex John MacLeod and Jake MacKay on fiddles and Agnes Liddell on keyboard, and they were joined by Calum Satchel on fiddle; Margaret Kemp on accordion, accompanied by Jimmy MacDonald on keyboard; Jim McMillan on guitar, accompanied by Jake and Agnes, sang a selection of well-known songs, including The Loch Tay Boat Song; Calum MacDonald on accordion, including his own composition dedicated to his late tutor, Fraser McGlynn; and Alex MacKinnon on accordion, accompanied by Jimmy on keyboard. All their selections were much enjoyed by an appreciative audience. Jim McMillan and Jake MacKay had composed a song for Niall Iain’s birthday, which Jim and Jane MacKay sang, accompanied by Jake and Agnes – this caused great hilarity with the audience. Before the interval, a birthday cake was brought in and committee member Roddy MacDiarmid congratulated Niall Iain on achieving this great milestone and presented him with a card signed by all present and a gift voucher from the club. 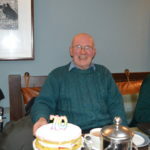 The guest artistes were Marie Fielding on fiddle and Duncan Black on accordion, great favourites of the ‘birthday boy’. 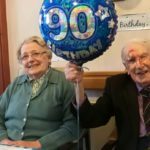 Marie had composed a tune to mark his birthday – a 6/8 pipe march ‘Niall Iain MacLean’s 90th’ – which they played and then, to his delight, presented him with a framed copy – and also included it in their recent Take the Floor broadcast. Marie and Duncan went on to give a very polished performance with many of the great favourites, including a lovely slow air Bill Black’s Fiddle, with Duncan on keyboard. Needless to say, the chairman was quite overwhelmed by all the surprises of the evening and thanked everyone for making his birthday so special. 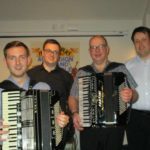 Next week the club looks forward to welcoming back Matthew MacLennan and his Scottish Dance Band for the grand finale of the season.